The first Serbian Golf Club in Australia. Our club was established back in 1978. 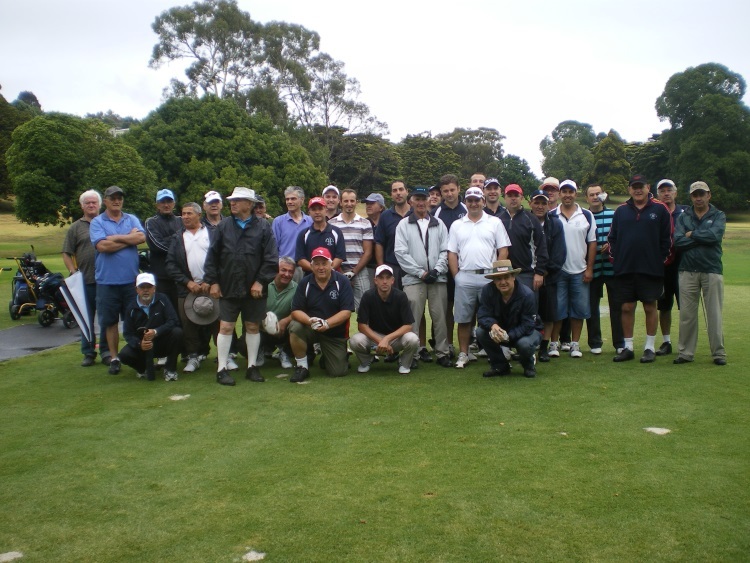 The Serbian Golf Club Geelong is all about fun, friendship and traditions. The club plays golf once a month and later gathers together for a BBQ, drinks and family fun activities. If you are interested in joining us for a round of golf and friendly company, then simiply contact us via email or check out our fixture and turn up on the day and introduce yourself..
Join our club today! It would be great to hear from you. The Serbian Golf Club Geelong Est. 1978. The Serbian Golf Club affiliations go back to Janaury 8th, 1978, when Dragan Stanisavljevic and a group of friends started the first Serbian Cup. The group contested the Cup at Queens Park Golf Club and has played the event there ever since. After the first Serbian Cup a few of the original members got together and formed what is now known as the Serbian Golf Club Geelong. The Club has since grown to over fifty members and play together on a monthly basis. The Club holds an Annual General Meeting after each Serbian Cup competition where the Club Committee is voted in and ideas on improving the Club are discussed. The Club Championship is a stableford event and is played during October, November and December. A player's best two rounds from the three are added together to give an overall total. The Slododan Mirkovic Medal is contested over twelve months and is open to members only. The player with the most accumulated points for the year becomes the Slobodan Mirkovic Medal winner. The event has been held at Queens Park Golf Club since 1978, where to be eligible to win you must be of Serbian origin or married to someone who is of Serbian origin. The player with the best nett score becomes the winner.